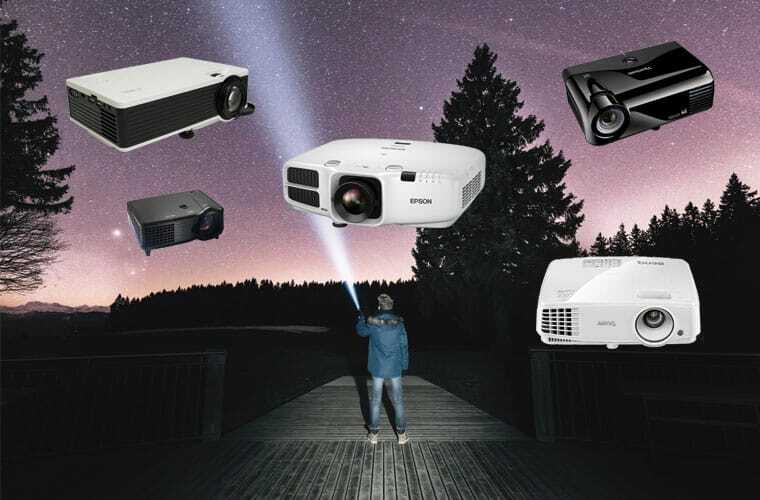 Are you planning a backyard movie party and are in search of the best outdoor home theatre projector? Shall you buy the cheapest movie projector on EBay or go for the ultra-short throw full HD projector with a price tag of several thousand dollars? There are just three things you need to know to make the right choice. Many projectors support widescreen resolution 16:9, but their native aspect ratio is 4:3. Wide screen 16:9 aspect ratio will deliver better quality image if you watch, for example, Blu-Ray movies. Brightness of the projector is measured in ANSI lumens. For backyard cinema we recommend 3000 lumen projectors. 1000 lumen projector will also do the job, if you are not expecting high quality image. However, if you are using cheap outdoor home theatre projector with low brightness, it should be really dark to watch the movies comfortably. Projectors with low brightness are ok to use with smaller screens. On the other hand, for a backyard movie night there is no need to go for a 6000 lumen projector. These projectors are used for school auditoriums or for big outdoor cinemas. For best results for a backyard cinema, aim at 3000 lumen brightness. While many low cost projectors “support” full HD, it often means the accepted input resolution is 1080p. What you need to know is native output resolution of the projector. 320×180 pixels is way too low; to watch live sports, TV and movies in a quality similar to your plasma TV, you need at least HD 720p, also known as WXGA. Hope this helps you make the right choice quickly. The quickest way to prepare for your backyard cinema party is to contact us at Smart Digital and buy a complete outdoor cinema package called HandiTheatre®. great article. Just wondered if you had some suggestions for a projector for a community outdoor cinema catering to about 1000 people in Papua New Guinea. They don’t have electricity there so I imagine the brighter the screen the better. Would you also have suggestions regarding sound for this large group? Hi Christina, that sounds wonderful. I’ve passed on your details to our sales staff who will be in touch with you directly to assist with your enquiry.